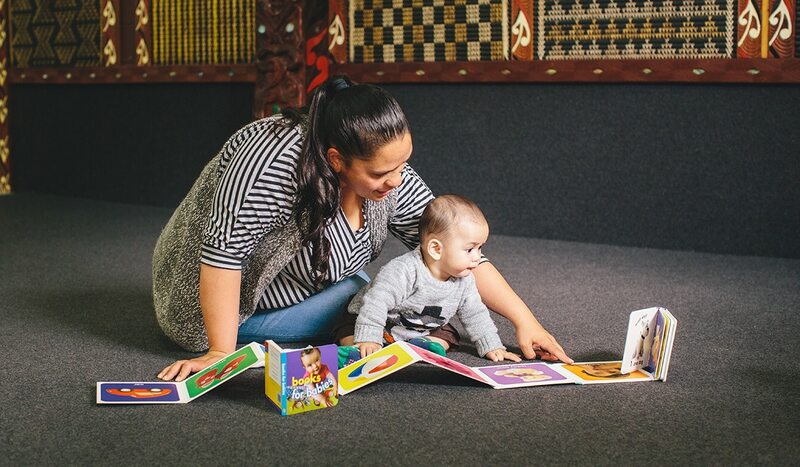 Storytime Foundation is expanding its Books for Babies programme to include families with babies from 3rd trimester to 3 years of age. To trial this we have commenced three pilots in the Far North, South Auckland and Rotorua.. The pilots are operating in collaboration with local agencies including Plunket, tamariki ora providers, Family Start, local marae and midwives. Participating families are receiving books and information to help them to read and tell stories with their children. More than 100 families are participating and Point Research, an Auckland based research company, have been contracted to undertake an evaluation of the pilots. The intention is to see whether extending the current Books for Babies programme to include families from the third trimester of pregnancy until the child is 3 years old will improve outcomes for families. There is evidence to say that that reading to a baby even prior to the birth will help baby’s natural cognitive development. Once baby reach 23 weeks she/he will be able to hear mum’s voice and other sounds, and may even respond to what she/he hears by moving around more.